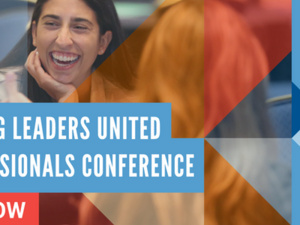 United Way of Central Maryland is hosting its seventh annual Emerging Leaders United (ELU) Young Professionals Conference. More than 400 local young professionals are expected to attend the conference for a full day of networking, panels, presentations, workshops and more, capped off with a mix & mingle cocktail hour. This conference combines professional development with ways to make meaningful change in the community. United Way’s ELU group is a network of more than 1,500 local young professionals that provides unique opportunities to give back to the local community while networking with other committed and philanthropic young professionals. Through professional development, educational opportunities, volunteerism and networking events, this group is committed to making positive and long-lasting change in central Maryland.